Our team of certified locksmiths at Mr. Locksmith MN specialize in highly advanced German cars such as BMW replacement keys, remotes, and fobs, as well as basic programming and ignition repair and replacement. Our high-quality services are on-call and fully mobile anywhere throughout the greater Twin Lakes area at a fraction of dealership costs. 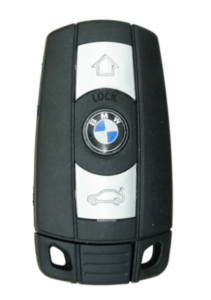 We come to your location and make a replacement key (Remote/Fob/Prox) for your BMW car on the spot! Why choose Mr. Locksmith MN for BMW Replacement Keys? Our dedicated locksmith team at Mr. Locksmith has established ourselves as one of the premier makers of BMW Replacement Keys, BMW key programming as well BMW replacement key fob. It’s no wonder we were awarded the Better Business Bureau’s A+ rating as well as being the top-ranked Twin Lakes area BMW key specialist on Google and Yelp due to our commitment to quality and reliability. The team at Mr. Locksmith completely understands the stress and inconvenience associated with any type of car key failure or emergency. We also offer other mobile automotive locksmith services like lockout and ignition repair and replacement. When unexpected key emergencies and failures arise, it may not be easy find a qualified technician to work with the highly advanced precision engineering of a German-made BMW. Our experienced team arrives equipped with the latest in state-of-the-art automotive locksmith equipment and technology to quickly produce and service high-quality electronic keys and fobs, including newer model vehicles and high-end, technologically advanced luxury brands like BMW. Our team at Mr. Locksmith truly strives to offer the fastest highest quality service in town at the lowest price possible, charging significantly less than a BMW dealership key fob replacement and programming. Replacing electronic BMW keys is already expensive enough as it is, that’s we don’t charge additional fees for nights, weekends and holidays like most of our competition.